MUSIC=ART with be presenting a Gallery Night: Art After Hours: Ithaca Inside show, along with good friends of mine Deep BeatZ and The Ithaca Post. Im not a big dancer, but this will be an event NOT TO MISS! 5. and the obvious…. DANCE PARTY’s are FUN!!!!!! 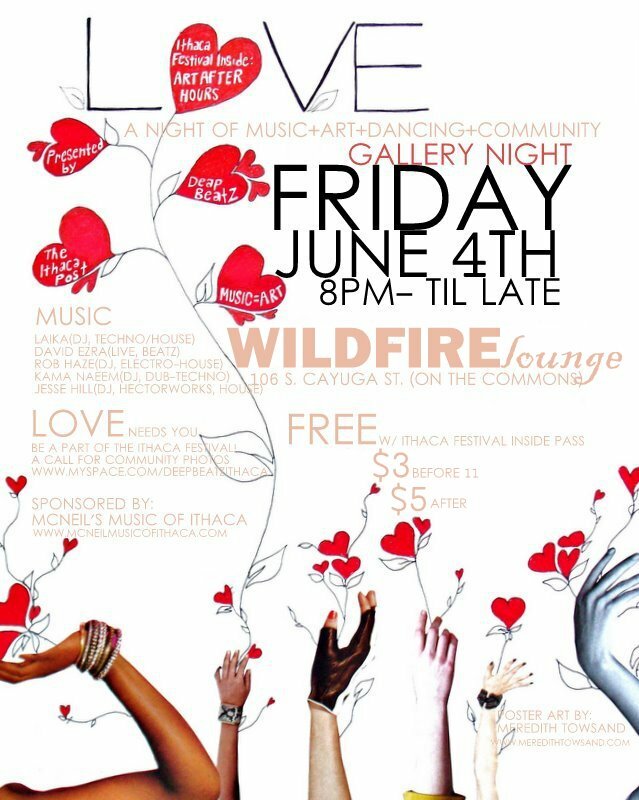 Come support MUSIC=ART and your community! massive slideshow during the event and devote this to night to you, Ithaca! This entry was posted in MISC on May 25, 2010 by Meredith C. Bullock.